The energy of Galactic Tone 8 is one of balancing the scales. 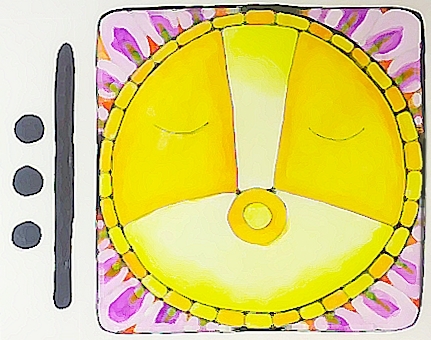 Sun/AHAU is a source of life, inspiration, and happiness that brings illumination and understanding. 8 Sun/AHAU allows us to see that each one of us is meant to receive God’s blessings. Sun/AHAU asks us to see that God’s Light shines equally in all directions because we are all equally worthy of Love, Light and Happiness. Sun can show us how we can make each man’s joy our own. This is the Day of our Ancestors who are ready to share their wisdom.